SAC Inc. offers a variety of concrete services in the Stockton, California, area. From concrete paving of sidewalks, parking lots, and driveways to concrete stamping, we do it all. Our installation, repair, and maintenance services ensure your outdoor surfaces withstand the test of time and weather conditions. 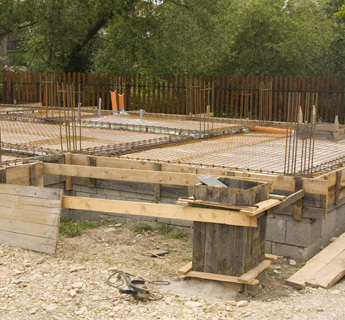 Our concrete work includes removing the old concrete and preparing the site before laying the new concrete. We can accommodate all ADA requirements for handicap-accessibility. We offer all types of finishes, including broom finishing and concrete stamping. Proper grading ensures the paving on your property has the correct slope to keep water draining away from your home or building. We provide grading of existing substrates prior to paving, using only the correct equipment needed to get the job done properly. We also provide striping services for safety and attractiveness of your property. Rejuvenate the asphalt on your property and extend the life of your parking lot with our sealcoating services. Newly paved lots without sealcoating only have a 14-year life cycle, while sealed lots can last from 25 to 30 years. We apply striping to our finished sealcoating, with most projects completed in one day. Larger jobs may take up to two days, depending on the scope. California law requires loose water to be contained within parking lots with adequate drainage underground. To satisfy water drainage requirements, we provide rock wells or dry wells, also known as storm drain wells. We install storm drain pipes on existing parking lots or new lots to transfer water directly underground instead of draining on the street as prohibited by law.